World Bank President Jim Yong Kim, left, and French President Emmanuel Macron. 17 Jan 2018 – The World Bank, which provides developing countries about US$60 billion a year in financial assistance, is officially phasing out its support for the oil and gas industries. This move brings its actions more in sync with its overarching commitment to slowing the pace of climate change and keeping the Paris agreement on track. Based on my research regarding international relations, I see this move – which World Bank President Jim Yong Kim announced in December – as significant for two reasons. The bank has signaled that the international community is taking the fight against global warming more seriously than ever. And it shows that the bank intends to keep playing a leading role in that battle at a time when its most powerful shareholder, the U.S., is turning its back on global environmental leadership. 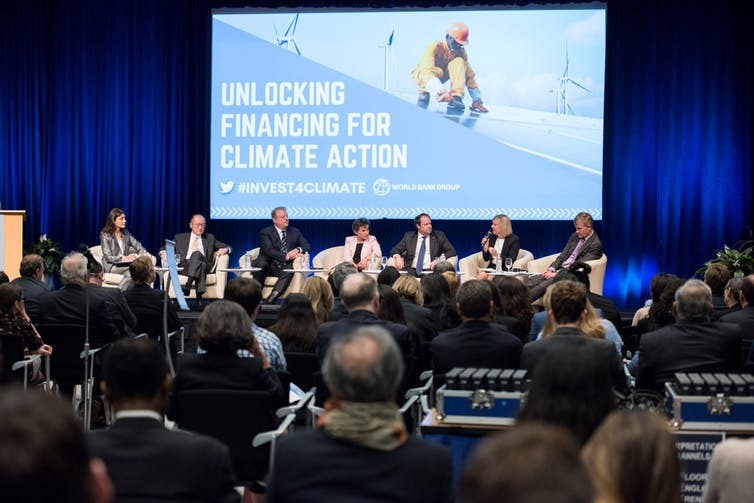 World Bank Group President Jim Yong Kim, former U.S. Vice President Al Gore and other leaders speak during a panel on climate-related finance during a meeting hosted by the bank and the International Monetary Fund. Kim’s announcement, which rules out new lending but does not affect loans made in the past or in the next year or two, may portend some political drama. But President Donald Trump has not yet commented on it. That could change, given that Trump has declared that the U.S. would withdraw from the Paris agreement. Exiting the world’s most far-reaching global climate compact, signed by nearly every country on the planet, until now has appeared to be a largely symbolic gesture. Trump has even said that he might “conceivably” change course. Although the U.S. wields veto power over changes to the World Bank’s structure and has historically selected its top leader, Kim’s tenure is apparently safe. He began a second five-year term in July 2017, and Trump has supported him so far. On Jan. 10, 2018, President Donald Trump said that the U.S. “could conceivably go back in” and rejoin the Paris climate agreement. Since then, the bank’s primary lending division has only considered one loan for a coal project, a Kosovo power plant. 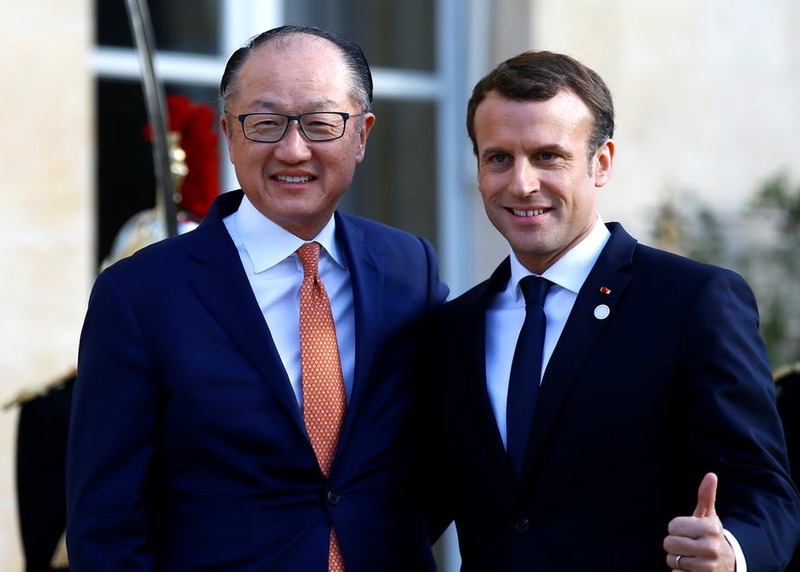 But the World Bank Group’s two private sector arms, the International Finance Corp. and the Multilateral Investment Guarantee Agency, have continued to support new fossil fuel ventures, including coal, in African and Asian countries – and elsewhere. For example, the IFC, has indirectly funded 41 new coal-fired power plants in countries like Bangladesh and the Philippines by financing banks that lent money to build them – despite the bank’s refusal to directly make loans like those. 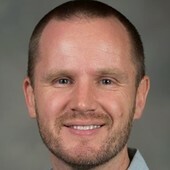 For an institution whose mission seeks a “world free of poverty,” the impulse to continue lending for fossil fuel projects could be strong. Recent experience with coal suggests that while the bank’s direct lending indeed may end in all but isolated cases, its indirect support for private sector investment may continue. Given the Bank’s emphasis on climate action, supporting oil, gas and coal production – the main cause of climate change – makes little institutional sense. But we expect developing countries to continue to exploit their oil and gas deposits even without the World Bank’s help, even if that means they reap less revenue from these industries due to their weaker bargaining power. For this reason, the bank will weigh carefully whether to pull out of fossil fuels entirely in the very poorest countries. The World Bank includes 188 member countries besides the U.S. Even if the institution’s bucking of fossil fuels proves somewhat less than absolute, any progress in that direction shows how hard it would be for the Trump administration to truly undermine the Paris climate deal. This article has been corrected to reflect the fact that the World Bank has not approved the Kosovo coal loan that it had considered making. Trade Wars: Is There an Off-Ramp?